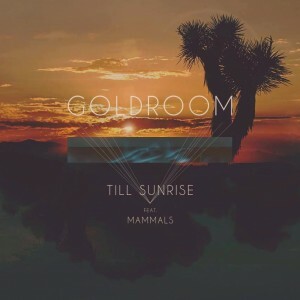 We’ve been impressed by Los Angeles-based performer Goldroom on the site before, but he dropped his gorgeous new single ‘Till Sunrise’ to digital retail just yesterday (US time) – and it has an Aussie connection. The luscious synth-laden dreamy soundscape features a vocal appearance by Sydney outfit Mammals, who also co-penned the track. Goldroom has released a selection of singles and EPs across the past couple of years. His track ‘Embrace’ reached No.62 on Triple J’s Hottest 100 countdown last year and he’s currently hard at work on his debut album.